Unlike my last urban recce run (in NOLA), I went out on a busy evening for some #FastFraming. 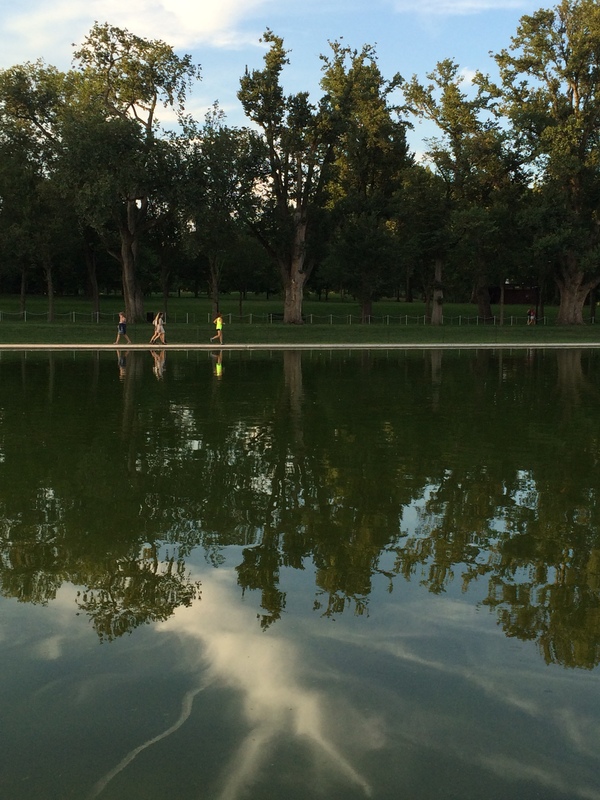 Washington DC was at its glorious August best, the hours just after work-time when countless scratch teams were playing the quintessential summer game this side of the Atlantic (not forgetting cricket on my original side of the pond). 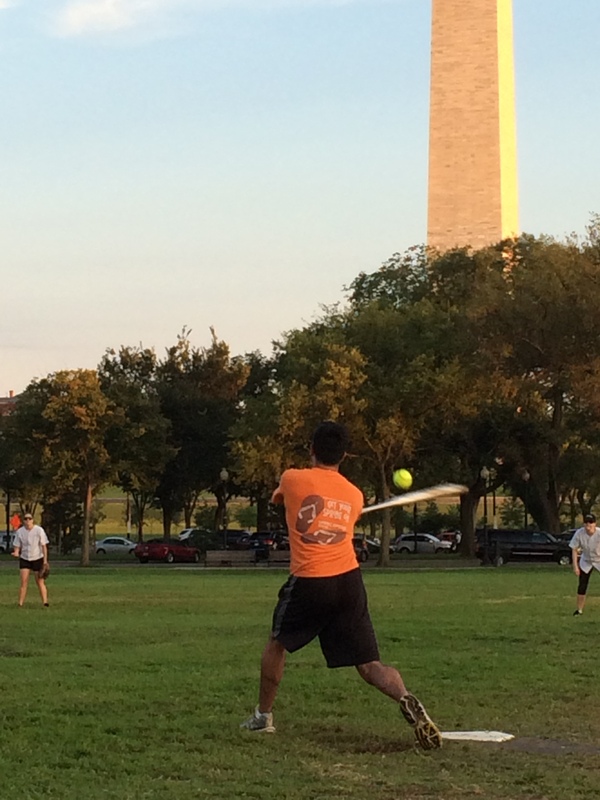 The Washington Monument was lined up ready to play as first base and the White House was right there but, well out of bounds and needing a shot out of the park to reach for a home run. 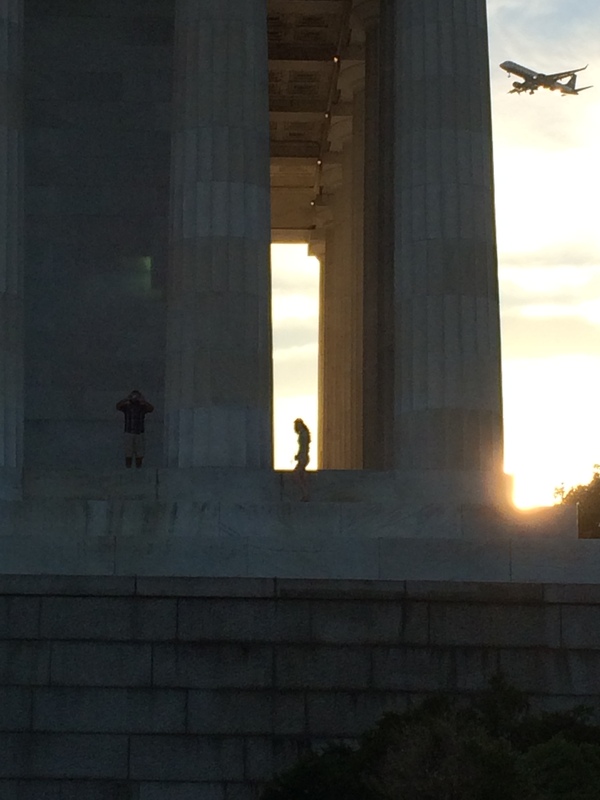 The Lincoln Monument looked oh so close to in-coming planes and the Reflection Pool was, well, reflective of runners passing by. 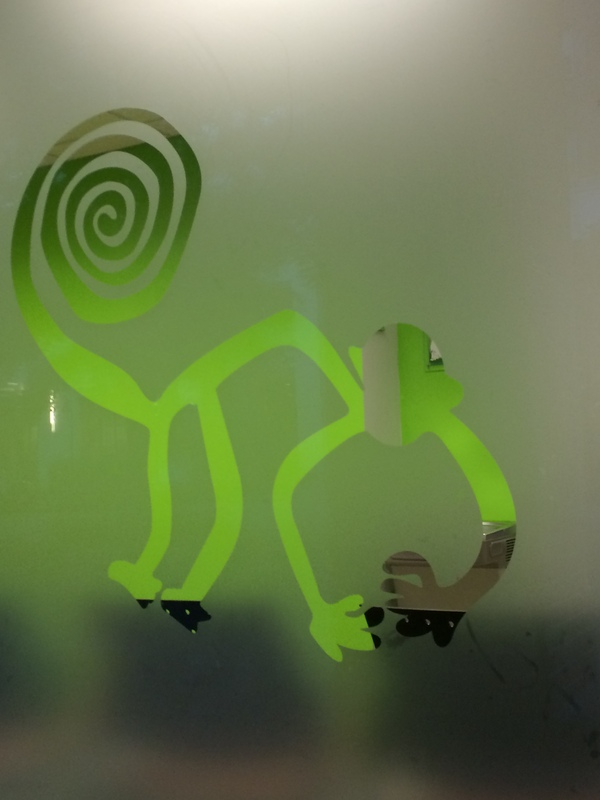 On my return, through Embassy Land, I peered through the windows of the Peruvian Consulate and saw a bright green monkey from the Nazca Lines.